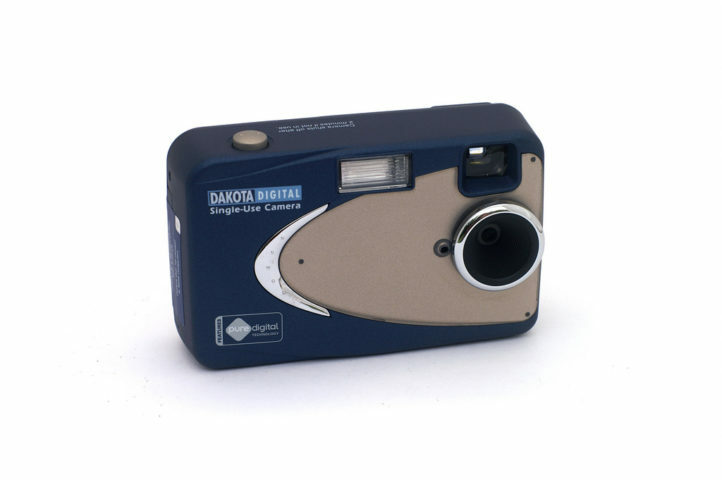 The disposable digital camera debuted in 2003. 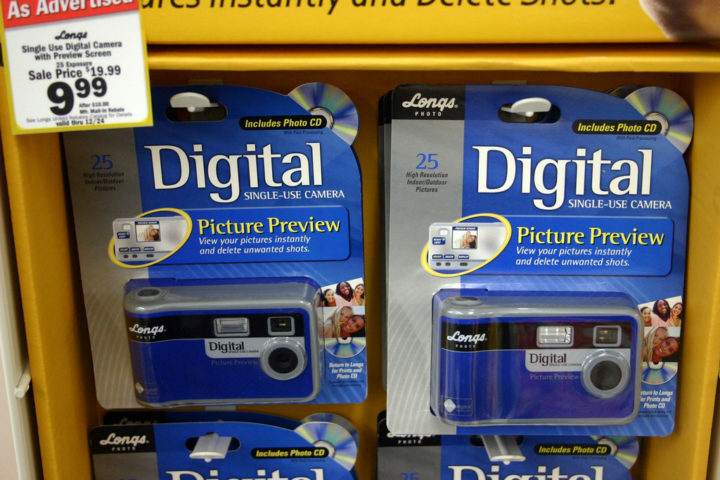 But are disposable digital cameras really worth it? There’s an LCD screen, so you can see the photos you’ve taken and how many shots remain. You can delete a photo that you don’t want. There’s an automatic flash built-in. It’s a relatively low-cost camera option at less than $20. You don’t have to figure out how to get the photos from the camera onto your computer; there no wires, cords, or downloading. The camera itself is fully recyclable. 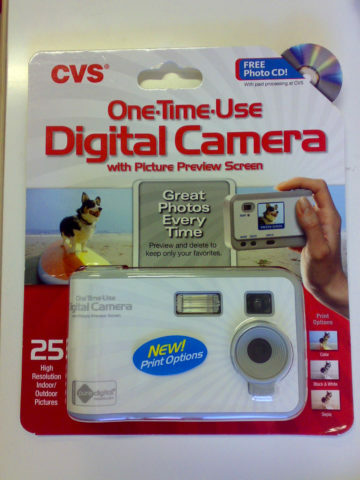 Here’s how to turn a disposable digital camera into a reusable digital camera! You’re limited to taking a small number of photos per camera (25 or 12 MB of space internal memory). The resolution is quite limited (2 MP). You have to pay for the prints afterwards. The preview screen is fairly small (1.4 inch). You can only delete the most recent photo, rather than previewing all of the shots and deleting the ones you don’t like all at once. There’s no external data port, so you can’t download the photos to your computer; you must take it into a camera shop to get the prints. In the end, it would probably be better to buy a cheap reusable digital camera instead of buying a single-use digital camera — much like I did for my niece and nephew.